Selfie Family Portrait I took at a wedding. I picked the right spot for lighting and background. I set the camera to the right settings and had a friend push the shutter button. Creative family portrait photography is an art form and takes years for many photographers to master. Although I have been creating family portraits for many years, I strive to improve my craft each and every photography session I do. Are you looking for a family portrait photographer? Or are you looking to improve your own family photography skills or make money creating portraits for other people? As with most photography, lighting and composition are of paramount importance, but it goes much deeper than that. It is more about emotion and relationships. Whether it be a large wall portrait, a desk-top size or even an image on their computer; if the family being photographed gets a big emotional benefit whenever they view their portrait we can call it a successful photography session. Portrait poses that have more than one person included have the added element of showing a relationship between two or more human beings that is not possible when only an individual person is photographed. It is the job of the photographer to capture at least some of that relationship emotion. 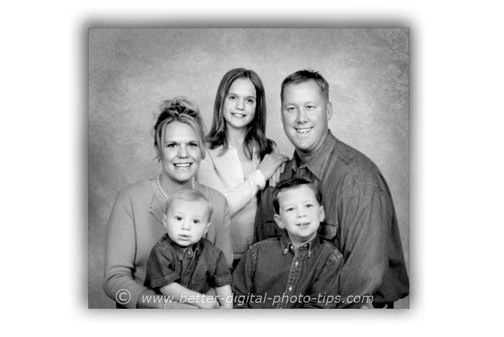 So what makes a great family portrait photographer? Is it his or her knowledge of lighting set-ups? Do you need to use some of those standard rules of composition like balance, leading lines, geometric shapes or the well-known Rule of Thirds in Photography? I don't think so. Those standard rules of composition are helpful with many types of photography, such as landscapes, nature and still-life photography. There are definitely many guidelines to use for posing the individual as well as posing techniques that are good for family portraits as well. What about the ability to get the family members to relax to reveal their natural expressions? I have always believed that the in-home environment is a great location to create relaxed family portrait photography. 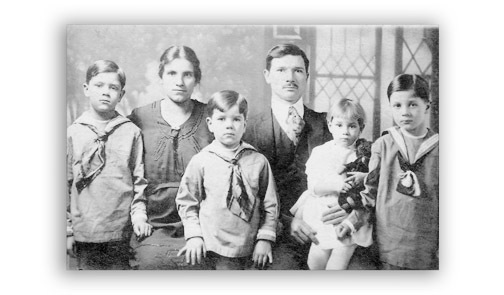 It is always interesting to look at historical family portrait poses and see what the normal facial expressions were. Notice the stoic faces in the portrait above. What do you notice about the pose in terms of the placement of hands of the family members? Family poses in that era did not usually show the emotional connection between family members. Compare the family pose above with the more modern pose below. Not only are the facial expressions different, but the hands and lean of the bodies convey a different meaning to the portrait as well. In the historical family portrait see how everyone is facing forward, stiff and straight. These first three family portraits involve using the right Portrait Photography Equipment. One photo tip for better posing in family portrait photography is to add a little lean to some of your subjects. It can also often be a challenge to find a suitable background without the distracting objects that can clutter the photograph and detract from the pose. When photographing large families inside the home, I often look for the longest room in the house and shoot from one corner to another. Professional family portrait photographers gain experience in recognizing and finding suitable backgrounds if not supplying their own when shooting on location. Taking large group photo of people can be a very difficult task with a unique set of challenges. Here is an article on some ideas on large group photography and the 6 most common photography mistakes made when taking Large Family Portraits. Lighting. Composition. Posing. Expression. Background choice. Perhaps it is combination of many of these elements, maybe some more important than others, depending on the overall purpose of creating the portraits. Baby Photography Tips. Keeping it simple is the idea behind these thoughts on baby poses and the lighting used for baby portraits. How to Choose a Photographer. 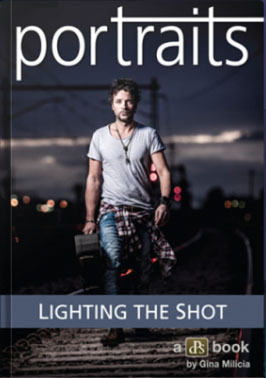 If you found this page because you were looking for a portrait photographer, this is an article that you need to read first. If you are investing your hard-earned cash for professional portraits, you want to know what to look for to get the best photographer. Portrait Photography Tips. 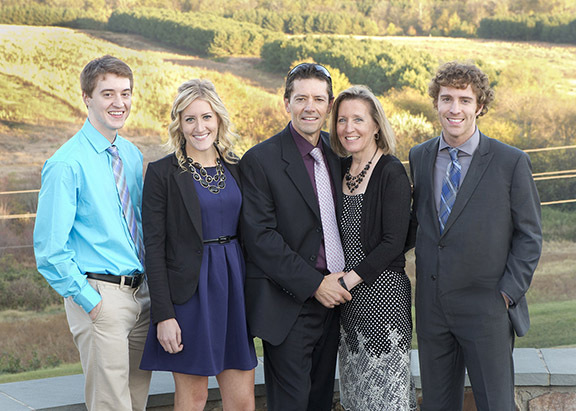 Posing tips for individuals are useful to use when doing family group photography. Family and group poses are the combined result of posing each single person in an attractive way and arranging them together. This article covers tips on body, arm and leg positioning. Here are two articles on outdoor family portraits. The first uses small groups as samples and the second has larger family poses. Outdoor Portrait Photography. Unlike indoor family portrait photography, with outdoor family portraits the challenge is finding a good location with a pleasant background and good natural lighting. Outdoor Family Photography. Large group portraits and different existing lighting conditions. Shoot more photos. Watch less TV.